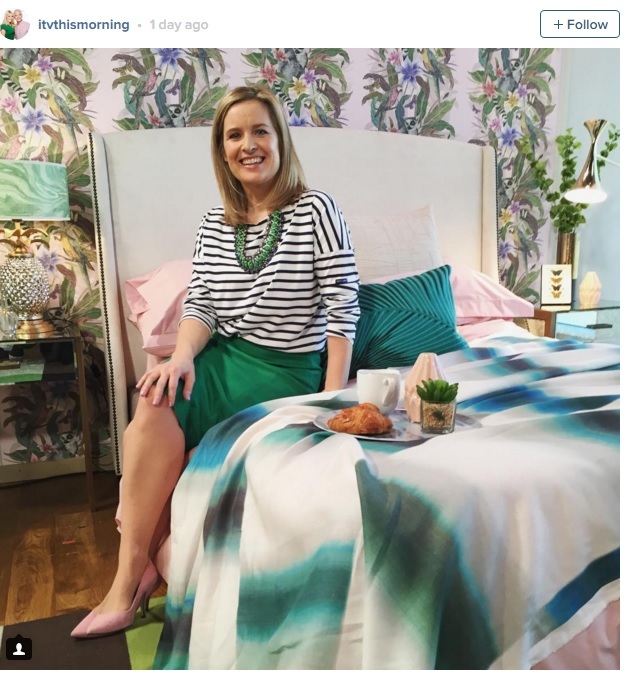 Textiles and surface design Laura Jade Allen got an unexpected surprise when she saw her wallpaper designs appear on This Morning! Interior designer Sophie Robinson transformed the This Morning green room into a little bit of paradise with a tropical theme, which featured Laura from Hartlepool’s designs which were exhibited in her graduate exhibition at CCAD in 2014. 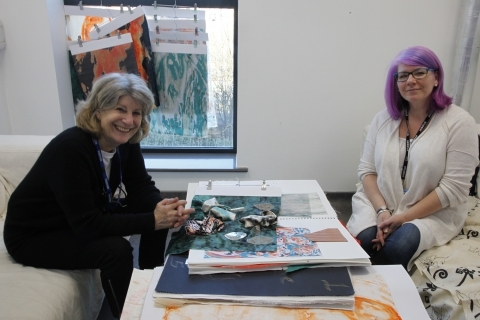 The college is also a big fan of Laura’s work and regularly exhibits her work at UCAS recruitment fairs around the country. 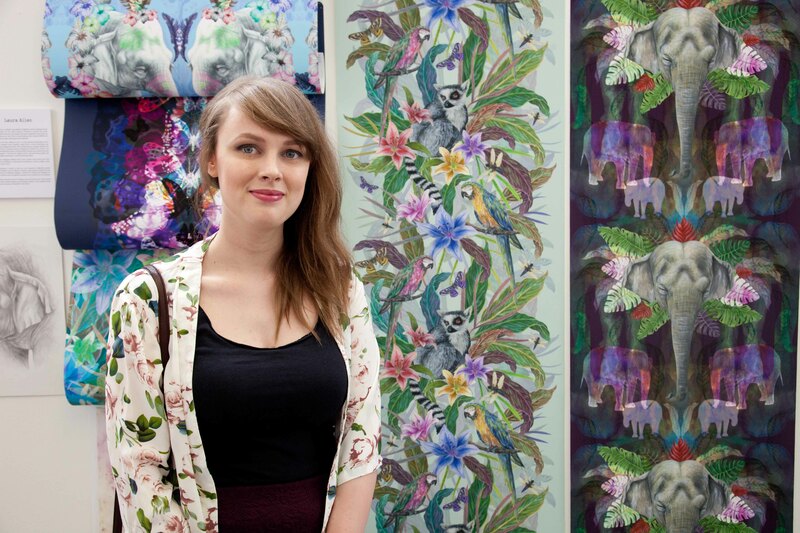 Laura specialises in digitally printed wallpapers. The main inspiration behind her new collection of wallpapers, Exotic Fusion, comes from a visit to the Bronx Zoo in New York, which was full of exotic and interesting wildlife. Each aspect of the design is carefully painted in watercolour with a focus on detail and then pieced together digitally to create lush and beautiful scenes. The result is a unique and individual wallpaper design combining both traditional and modern techniques that can be used in all interiors to create a stunning focal point. 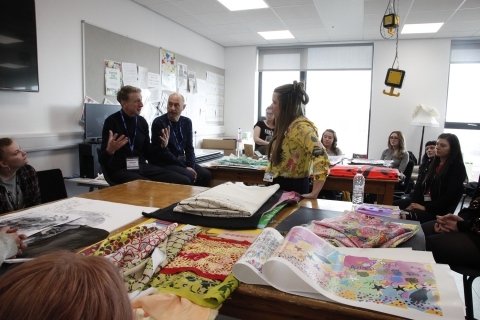 Laura’s wallpaper designs have been exhibited at international trade shows including Surtex in New York and Indigo in Paris.